Who's feeling the snowball effect of the end of the year!! As I look at my calendar we have sooo much coming up in the next few weeks!! 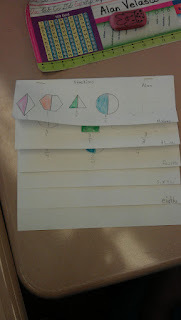 While this is all going on we are finishing up our last chapter in our math book. 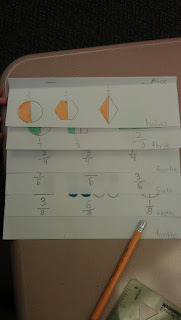 Our K-3 classes switched to Go Math this year. 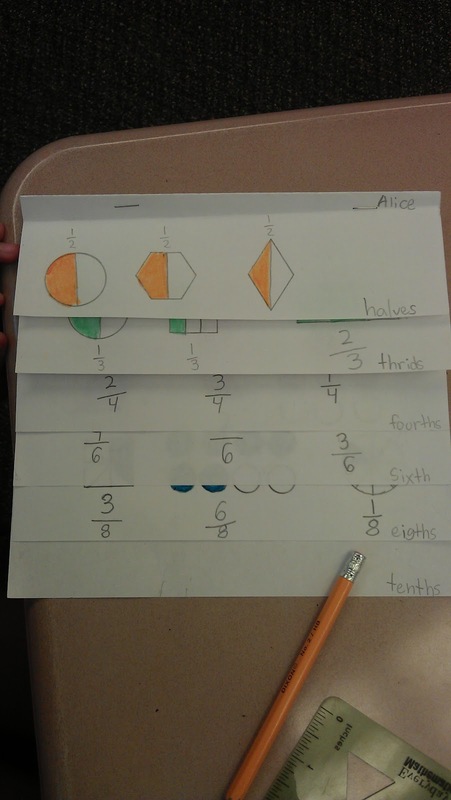 It is aligned to Common Core which has been a super plus for us!! The last chapter is Geometry and Fractions. I really love teaching fractions, but Common Core seems very weak to me in this area, so I extended this chapter with a few extra activities. 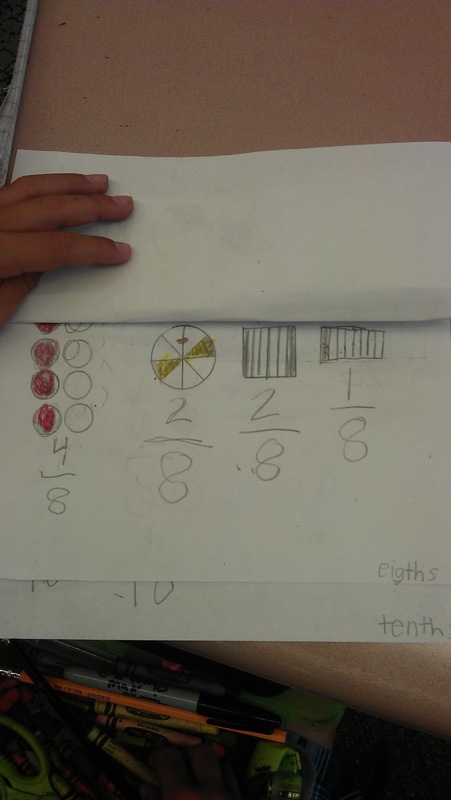 The chapter covers equal parts, and creating equal parts, but it doesn't have students write fractions in numerical form. 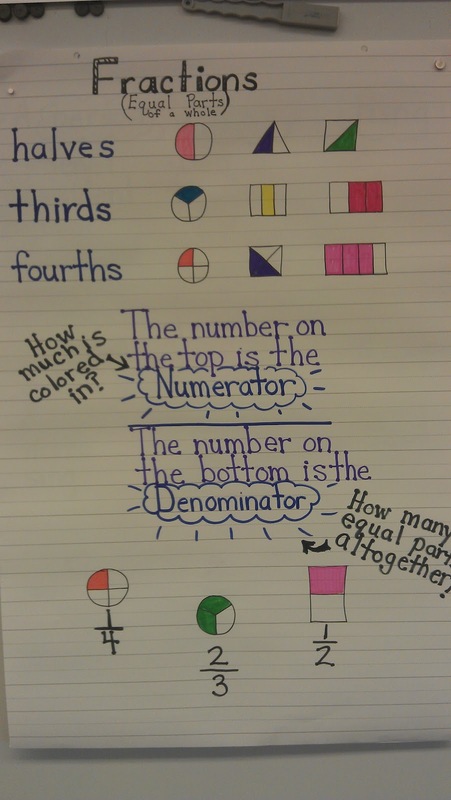 So we did this anchor chart together and talked about what fractions meant. Then we got into the fun part. I had students create their own fractions in a flip book. They did such an amazing job. Some used templates and some just drew their pictures. 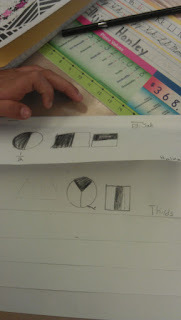 I was so impressed with their work and they really enjoyed creating them. We will finish up tomorrow and do assessments on Friday. I think they've got it down!! 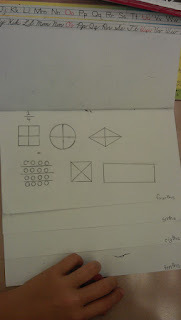 If you have some fun fraction ideas I would love to hear about them. I am always in search of more hands on activities!! 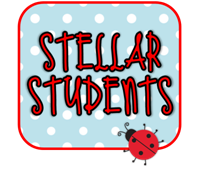 I would also like to give a shout out to Krista over at Stellar Students. She is having a 200 Follower Giveaway!! Go Krista! If you haven't checked out her blog head over there. 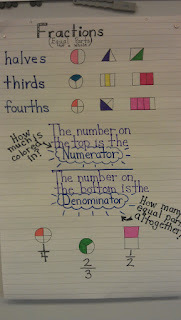 She does some fantastic activities in her class and she has some really great items in her Giveaway too... I really want that necklace:) Head on over and give her some Aloha. 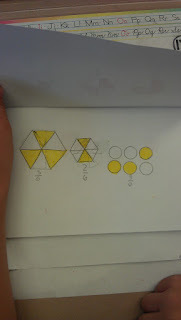 I tried the fraction kites from Christina Bainbridge's site. The kids loved them and they turned out really well. I like the flip books you made. I love this flip book. 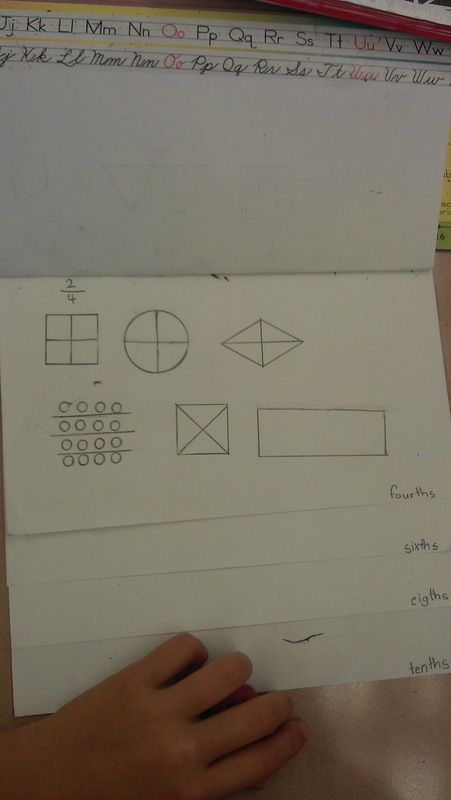 I teach first and we will soon have to teach fractions! I love your blog and am your newest follower! I would love if you could come visit me! Hi!! I am your newest follower! 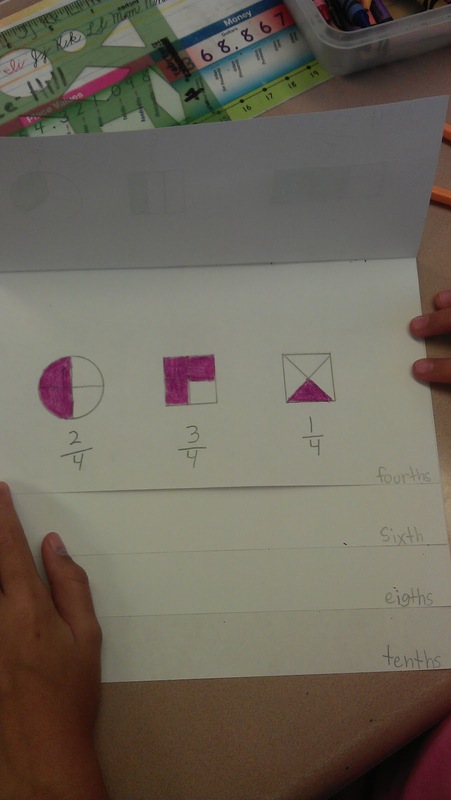 The fraction flipbooks look awesome. 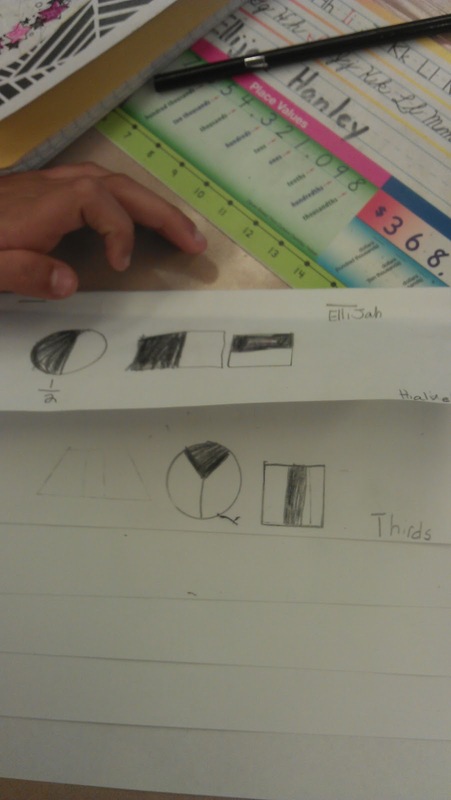 I am adding this to our fraction unit next year. Thanks for sharing this idea. The May day celebration sounds like fun. I can't wait to hear more about it. Thanks for the shout-out about the giveaway.